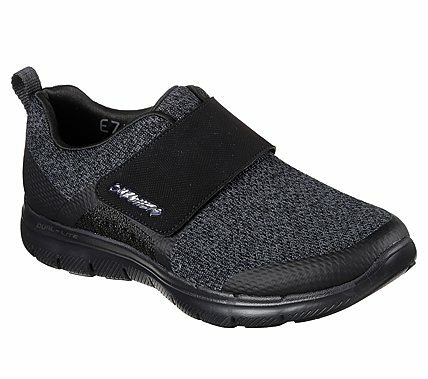 Be quick about your athletic sleek style and versatile comfort with the SKECHERS Flex Appeal 2.0 - Step Forward shoe. Skech-Knit Mesh nearly one piece fabric and synthetic upper in a one strap front athletic training sneaker with stitching accents. Air Cooled Memory Foam insole.